I don't own the contents, please tell me if want me to remove it . 作詞：MISIA 作曲：佐々木順 #MISIA #ミーシャ #星の銀貨 #星空のライヴ. Misia 2009 - video upload powered by https://www.TunesToTube.com. Misia- Best Octave Jump! LIVE ベストオクターブジャンプ ! Please don't forget to like, subscribe and comment about the video ! Misia -Insane Vocal in The Tour Of Misia 2007 LIVE ! ミーシャ2007年ライブツアーで非常識ボーカル! Please don't forget to like, subscribe and comment the video ! 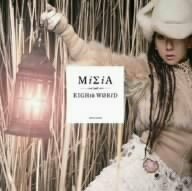 Misia- Best Wilded Moments ! (LIVE) 激怒の瞬間 ! Please don't forget to like, subscribe and comment about this video ! Misia - Japan Queen Of Vibrato ! ボーカルビブラート ! Misia is the queen of vibrato in Japan ! どのように彼女は彼女の声を振動!